Picture this: Fall semester, high school years. You eagerly await your first art assignment, hoping to be given the added bonus of self-expression. A few weeks pass and you hand in your artwork, hoping it might be considered by your teacher for submission to the Scholastic Art Awards jurying process. Fast forward a few months–the jurying has been completed and… Congratulations! Your piece has been given a Gold Key award. 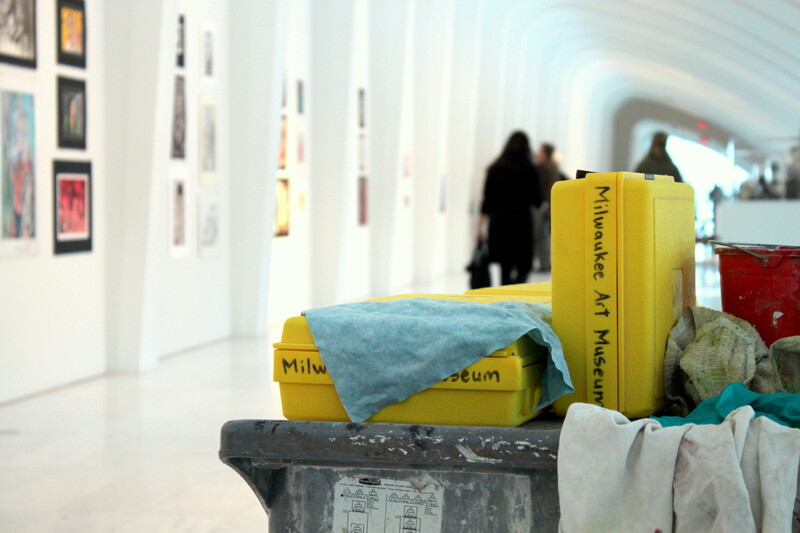 You mark the Awards Ceremony date on your calendar, where your artwork will be on display at the Milwaukee Art Museum, and then… you wait. But ever wonder what happens to your work while you’re waiting? Let’s take a look at the behind-the-scenes portion of the whole process. 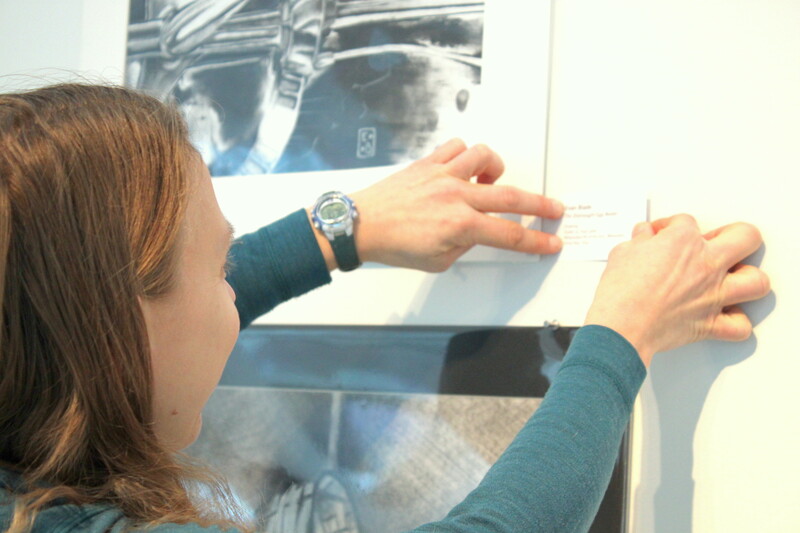 First, all of the artwork that has been juried in to the show is organized into categories and given a label code. These codes help the installers identify two things: the category it falls into (example J = jewelry), and the number of pieces in each category. The entire code assigned to each piece (for example J15) helps identify which artist it belongs to, so that a proper label can be placed next to it after it has been installed. After the coding is finished, it’s time to distribute the art. I’m the installer, who carefully chooses places that the artwork will fit well, not only in spacial dimensions but alongside whatever will be seen next to it. There has been between 350 and 400 artworks to arrange in previous years–and all of it needs a place in the galleries! Each piece is laid out, measured, and spaced accordingly on the wall or on a pedestal. Then, and only then, all of the labels are placed next to each piece. All of this happens in a matter of about a week. 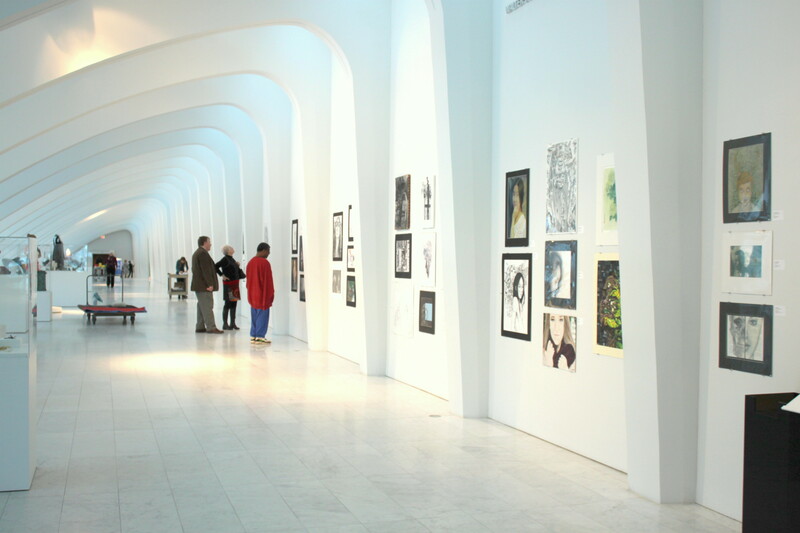 At the end of that week, all of the artists, their family, friends, and teachers, show up for the Awards Ceremony to see their art on the walls of the Milwaukee Art Museum. 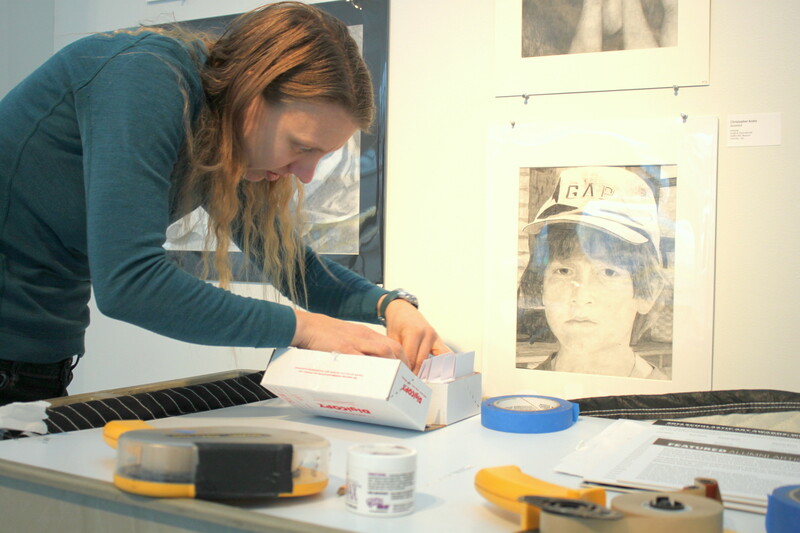 Editor’s Note: Join us for this year’s 2014 Scholastic Art Awards Celebration on February 8, 2014, at the Museum–view the finished installation as well as celebrate young artists from all over the state of Wisconsin! We hope to see you there. This entry was posted in Behind the Scenes, Education, Exhibitions and tagged art, education, scholastic art and writing awards, scholastic art awards. Bookmark the permalink. great blog, Chelsea & Kelli!